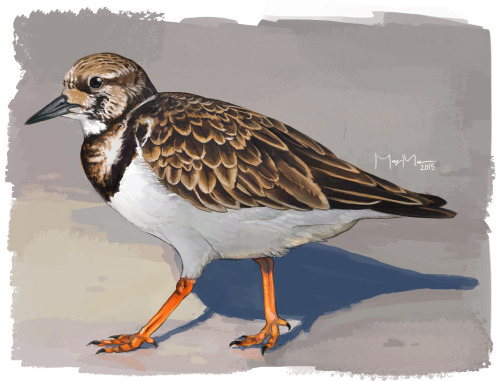 There’d been a few reports from Campus Point at UCSB over the last few weeks about a Ruddy Turnstone mixed in with the Black Turnstones we normally get. I saw that the tide was fairly low as I was driving back from seeing the Tennessee Warbler at Refugio, so I thought I’d give it a try. It was right there, just where it was supposed to be, still hanging out with the Black Turnstones. Yeah! Tags: carp without cars, birds, santa barbara county year list, rutu.